Social media and finance have become inextricably intertwined in the modern times. It has connected the economic ventures of the common people in a socially oriented manner. Social media deal sites like Groupon and LivingSocial have made shopping sprees easy and fun. Now you don’t have to search for the interesting activities and shopping opportunities in your city as they would be brought directly to your phone or computer screen daily. In order to grab the best deals of your town all you have to do is register at these sites and get the latest happening deals. Social media has achieved a new trademark with the advent of these sites. So if you are looking for deal either with Groupon or LivingSocial, then have a cursory glance at their working with me. Traffic Vs Business: Groupon and LivingSocial are almost identical in their working but living social is receiving more traffic while Groupon is earning more money. LivingSocial followed the footsteps of Groupon but became equally popular. Small yet Tough Competition: LivingSocial claims to compete with Groupon on the basis of its rapidly growing statistics. But the social media research shows that it sill needs lot of time and effort to bridge the business gap. Facebook Deals Vs Groupon and LivingSocial: The launch of Facebook deals has posed serious threat to the business and potential of both Groupon and LivingSocial. Facebook certainly has the advantage of enormous user base support into its kitty which can be streamed in any way they want. These two sites are already partially dependent on Facebook as mostly deals are shared/promoted/prompted via Facebook products. So, Facebook will surely give them good tough competition now. Group Activity: These deal oriented sites have turned shopping and entertainment into more of a community activity. The process goes like this that the more friends you can bring into a deal, better are the chances that you will make more profit in the deal. Both business deal sites have the same working method of gravitating towards social binding as a way of working. And that’s the simple reason queuing them up in the spree of social media platforms. Without which they are just simple business sites offering coupons. The Numbers that Count: If you are looking for the fat numbers for your investment then Groupon would be the better opportunity for you. 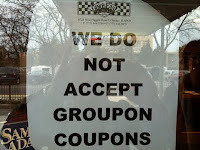 As the statistic still favors Groupon to be the reigning supreme in the deal business. Groupon brags an estimated 38 million subscribers whereas LivingSocial is still lingering on a meager 26 million. So, for LivingSocial, there is still a long way to go. 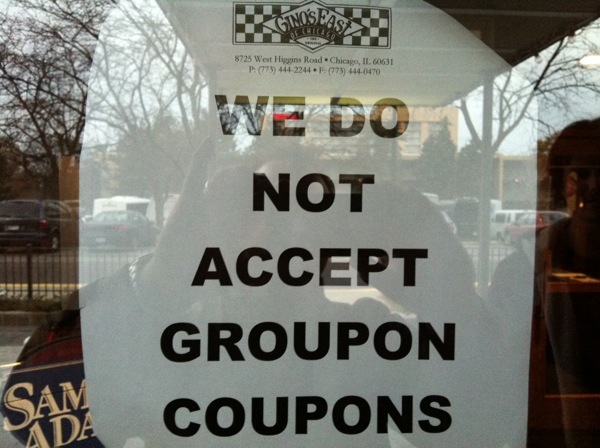 Yet there are certain cases which depict LivingSocial to be more user friendly than Groupon. Channel varies: Their target audience lies in different parts of the country that’s why they adopt different sources for advertisement. LivingSocial relies on big names while Groupon is comparatively scattered in advertising campaign. Trivia: Groupon being the bonafide deal site is earning manifold times better than LivingSocial. Both use coupons and one deal per day operative method. Registration is absolutely free at both these sites. Both Groupon and LivingSocial have set a trend, paving ways for an insane mushroom growth of business deal sites. So, if you are looking for a deal at your place, go give them a try!